Fourteen Cornell scholars (11 faculty members and one faculty member-graduate student team) received 2015 awards from the Jeffrey S. Lehman Fund for Scholarly Exchange with China. The fund provides grants to initiate research projects, sponsor research-related conferences or workshops, host visitors from China or support faculty travel to China to work on collaborative research projects. Creating China? Transnational Public Intellectuals and the Making of Contemporary Chinese Politics and Foreign Relations. 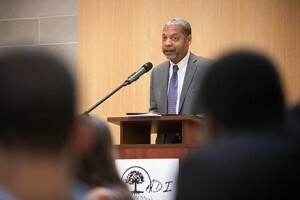 Project director: Allen Carlson, associate professor, Department of Government. For more information, contact the East Asia Program in the Mario Einaudi Center for International Studies at cueap@cornell.edu. Posted in Features and tagged china, cornell, cornell chronicle, Cornell University, cornell university college of human ecology, east asia program, fund, human development, lehman, lehman fund, research on July 24, 2015 by Pooja Shah. 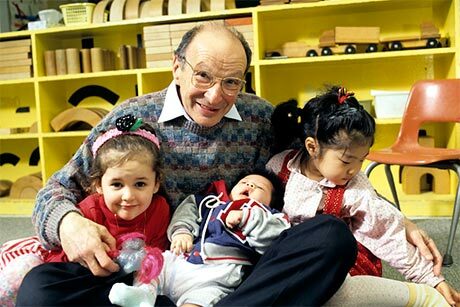 A half century ago, Cornell developmental psychologist Urie Bronfenbrenner gave Congressional testimony that eventually led to the creation of the Head Start program. Intrigued by his work, Lady Bird Johnson invited Bronfenbrenner to tea at the White House, where he shared his findings on early childhood programs he had observed abroad. In January 1965, as part of President Lyndon Johnson’s War on Poverty, Sargent Shriver empaneled 13 experts – including Bronfenbrenner – to develop a federally funded preschool program for the nation’s poorest children. In its first summer, the six-week program reached 500,000 youngsters; in the 50 years since, it has provided 32 million infants, toddlers and preschoolers with health, educational and family support services. On May 18, the National Head Start Association will mark the milestone by planting rose bushes at programs nationwide and celebrating with members of Congress. Among Head Start’s architects, Bronfenbrenner stood out for his dynamic systems theory of human development – which became synonymous with the field of human ecology and inspired the renaming of Cornell’s College of Human Ecology in 1969. A champion of field-based observations in children’s homes, schools and neighborhoods, Bronfenbrenner upended the conventions of mid-20th century developmental psychology, which had taken a decontextualized, sterilized approach. For Bronfenbrenner, it wasn’t enough to look narrowly at children. To understand the effect of a mother’s employment on a child’s development, for example, he urged investigators to consider the child’s age, the quality of daycare in the mother’s absence, her attitude toward her work, the family’s race and income level and the father’s employment status and attitude toward his partner’s work and family duties. On the Cornell faculty from 1948 until his death in 2005, Bronfenbrenner formulated a theory of human development that reflects not only individual personalities and potential, but also the dynamic interplay among members of the family, the family’s place in their neighborhood and community, that community’s place and the pervasive influence of macrosystem factors, including social policy, the legal system and economic trends. “He wanted us to include the real-world messiness that we were intent on excluding, because at that time we thought of it as methodological noise,” said longtime collaborator Stephen Ceci, the Helen L. Carr Professor of Developmental Psychology. 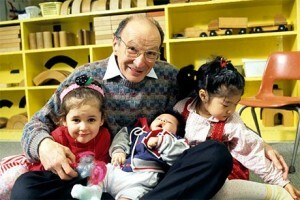 As the extended family of the 19th century gave way to increasingly fractured variants, Bronfenbrenner campaigned for policies to bolster and sustain the family as society’s most vital building block through programs like Head Start; minimum income programs for impoverished families; paid leave for new parents and flexible work hours for those with older children; affordable, high-quality childcare; gun control; and universal health care. A proponent for the power of family ties to help children reach their full potential, Bronfenbrenner saw Head Start as a buffer against the stress experienced by impoverished parents. Day care would allow parents to spend more time with their children, forming the passionate attachments he saw as a cornerstone of lifelong success. Adapted from a spring 2015 issue of Human Ecology magazine by freelance writer Sharon Tragaskis. Posted in Features and tagged Bronfenbrenner, cornell, Cornell University, cornell university college of human ecology, early childhood, head start, human development, impoverished families, minimum income, policy, poverty, programs, sharon, success, tragaskis, war on poverty on July 24, 2015 by Pooja Shah.